The US federal government in 2016 removed the recommendation to floss daily, after admitting there is no scientific evidence to confirm that it works (Associated Press). This was widely discussed within the media and has caused a lot of discussion amongst dental health professionals. You may, feel a little cheated and be thinking why have I bothered? Whilst the floss manufacturers may have been the ones to profit most, it is important to remember that dentists are trying to encourage better oral care and reduce the knock on effects of poor routines. It is widely acknowledged that the best thing you can do for your oral health is to brush twice a day for 2 minutes, with the correct technique. 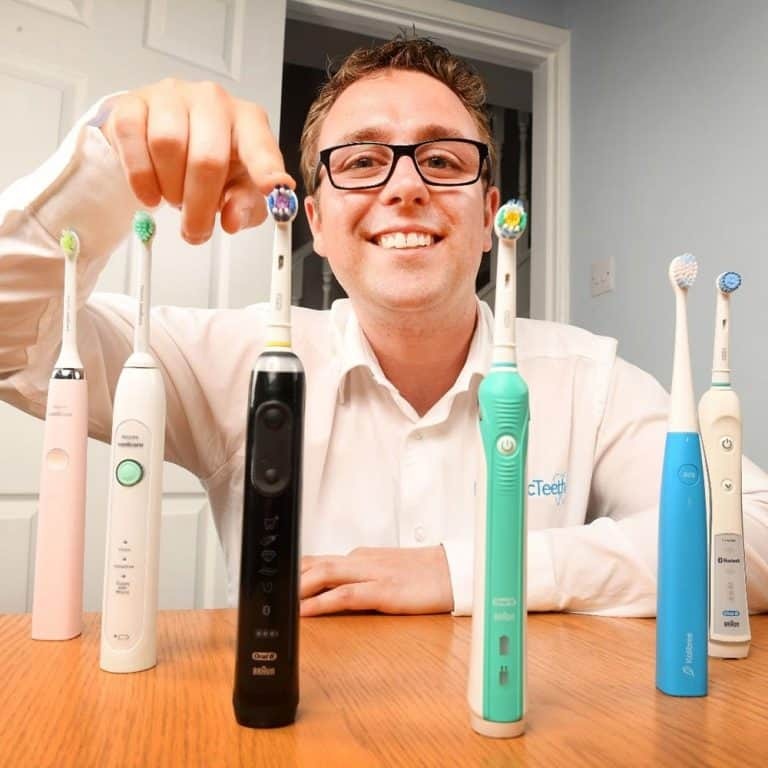 Using an electric toothbrush will reduce plaque and clean the teeth even more effectively. But interdental cleaning is still important and recommended even if floss is not quite as important as we were led to believe. Organisations like the British Society of Periodontology advise the use of interdental brushes. They acknowledge that floss is of little use, unless the gap between your teeth is so tight that floss is the only option. So, if interdental brushes are the new recommendation, what are the pros and cons and how do they compare to floss? More effective at cleaning in between the teeth – the bristles move and compress into different sized and shaped gaps than floss. Removes more bacteria than florrins and toothbrushing or toothbrushing alone. Resolves the symptoms of gingivitis (gum disease). Easier to handle and clean in between – Just a back and forth motion needed and there are handles (short and long) on interdental brushes, making it better for all, particularly those with limited dexterity. Can bend the tips – Flexible brush heads make it simpler to get into gaps. Only option for braces – Floss simply does not suit those who wear fixed braces, brushes clean deeper and around fittings. Time consuming – Getting in between all the gaps takes a lot of time. You can learn more about interdental brushes by reading our article on the best interdental brushes. So is it time to bin the floss? Not cleaning in between the teeth can lead to a buildup of plaque and bacteria between them which in turn can lead to gum disease. Therefore taking clear preventative steps is important. Where once floss was your go to option, an interdental brush is now the answer. Whilst the evidence may well be lacking for floss, it is about having the right tool for the job. In fact, you may find this guide to the best flossing tools useful. It considers floss, interdental brushes and oral irrigators. Ultimately, everyone’s needs are different and dentists are best placed to recommend the best approach for you.